WILLEMSTAD - Child protection Curacao wants men to have a better understanding of what their rights are when it comes to their child. This is according to social worker Dyaline Sampeur-Poussin. 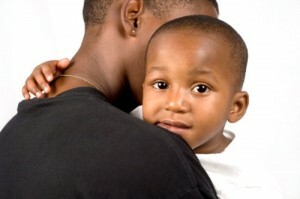 60.9 percent of the men who spoke to the Child Protection says that the mother makes or prevents the contact. According to Sampeur-Poussin, men often do not know what their legal position is and how they can improve it. Child protection is hammering more awareness about the role and rights of a father. 'Children who grow up without a father have a harder social life. They are often very busy with the father and why he is not there with them for example. This is also why most of them do not perform so well at school."